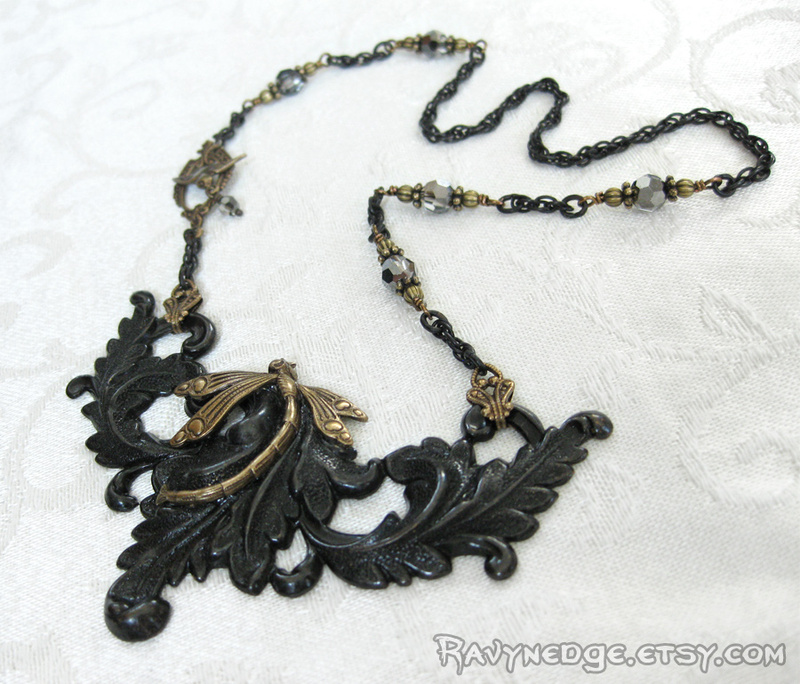 Blissful Moments Necklace - Blackened Brass and Oxidized Brass Dragonfly Necklace by RavynEdge. 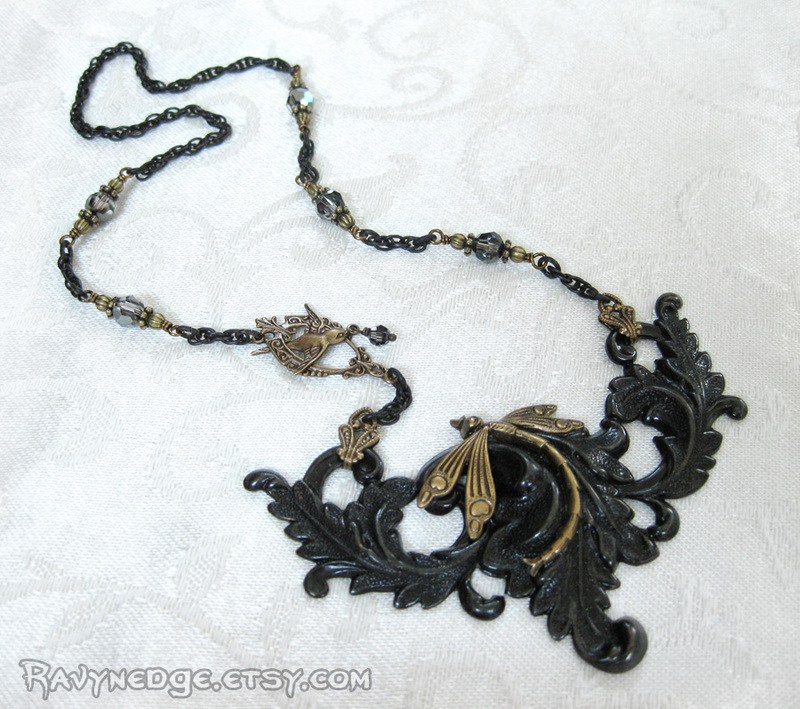 Swirling blackened brass leaves with exquisite detail set the stage for the brass art deco style dragonfly. 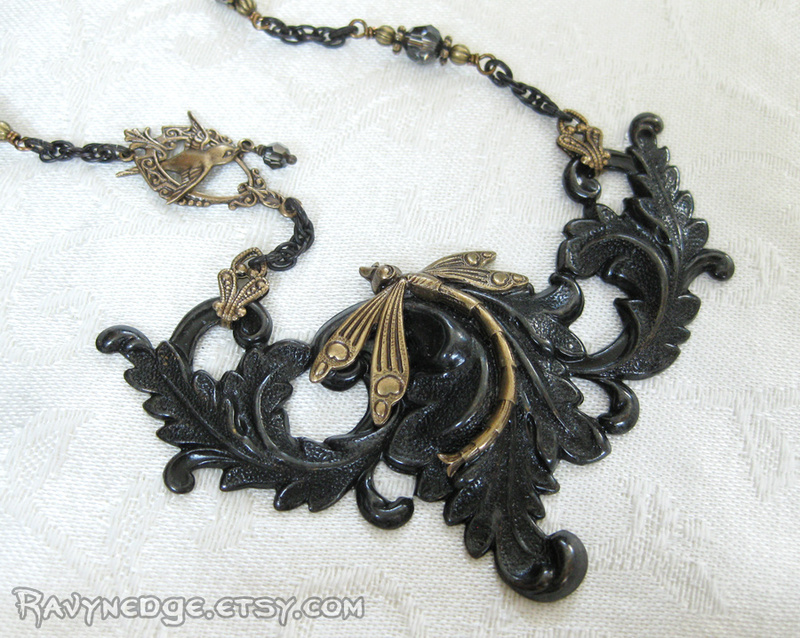 The elegant rope chain is accented with beads of crystal silver night Swarovski nestled between brass and lead free pewter to complete this stunning necklace. 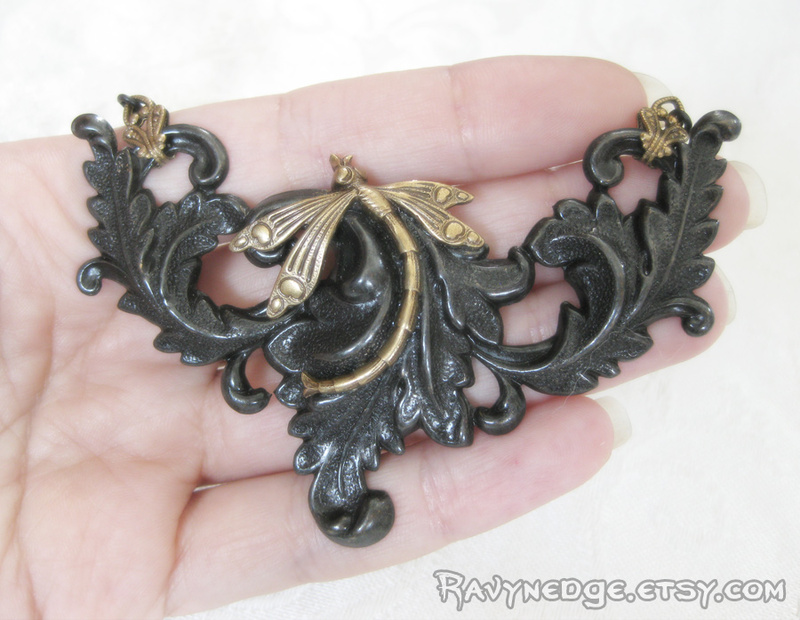 The focal measures approximately 2in (5cm) tall and 3.4in (8.5cm) wide. 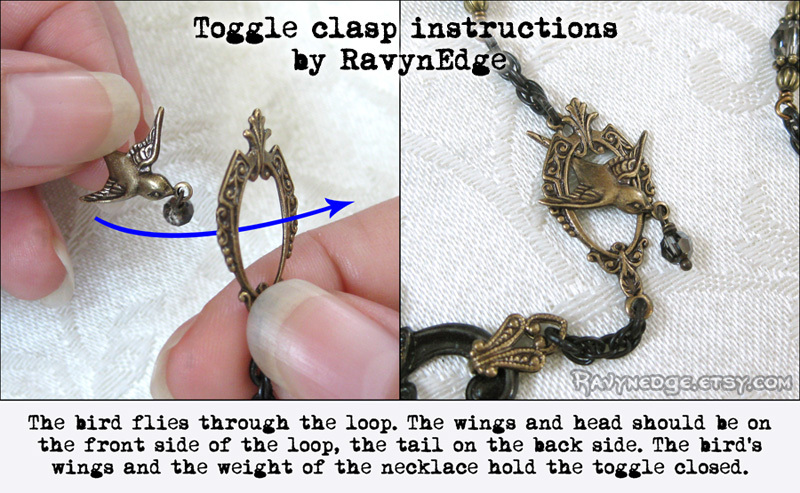 The chain measures 18 inches (45.7cm) and closes with a unique sparrow toggle clasp inspired by Dark Diva Designs.